Free bottles of Big Mac sauce? We're lovin' it! If you've been savoring that Big Mac sauce, but can't figure out a way to get the exact taste at home, you are in luck. McDonalds will be giving away 10,000 bottles of its special sauce on Thursday. 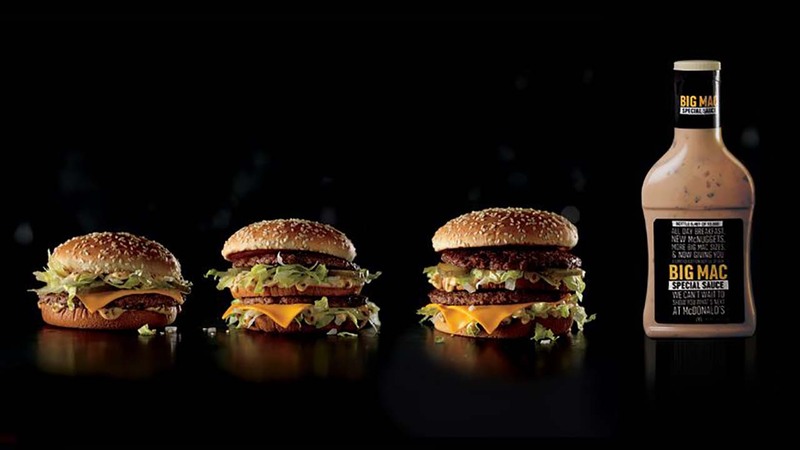 The giveaway follows the nationwide release of two new Big Mac sandwiches: the Mac Jr. and Grand Mac. According to the fast-food chain, the new burgers will be sold through March 20. Bottles of the Big Mac Special Sauce will be available at participating restaurants across the U.S. and on McDonald's social channels. A few restaurants from various areas around the country have been chosen for this special giveaway, and the McDonald's at 3710 Western Boulevard in Raleigh is one of them! On Thursday from 11 a.m. to 1 p.m., they're rolling out the red carpet for Big Mac fans and giving away free bottles of the sauce to the first 100 customers in line.